2. Install the right-hand camshaft (11) into the engine block (21). Install six screws (19) and lock washers (20) into both rear bearings (27). Align the right cam gear (8) so that the "R" on the idler gear (32) lines up with the "VR" on the cam gear (8). 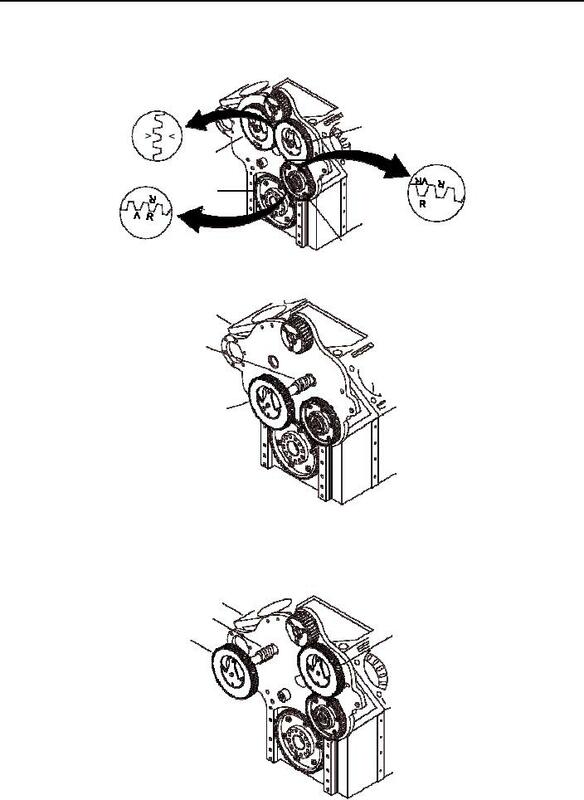 Install the left-hand camshaft (10) into the engine block (21).